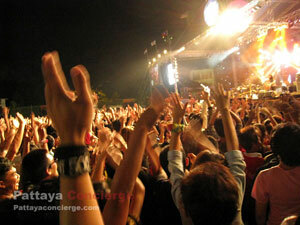 Come back again for Pattaya International Music Festival! The festival this year 2016 start from Friday 18th - Sunday 20th March 2016, and there are definitely still several stages for this event as the other recent years. If you are waiting for this festival, it won't be long already. 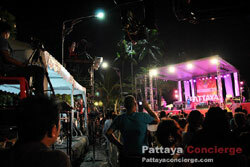 In the case you would like to ask for more information about this Pattaya Music Festival, you can ask a staff from Thai Authority of Tourism (TAT), Pattaya Branch, Tel: 1337. * In the past, during the festival dates, there are notice boards about 12 hours closing Beach Road , from 2 PM - 2 AM. This year would also be the same. * The time table can be changed without informing in advance. Visitors can park there car on shopping centers in the city (some of them will charge for parking there though). 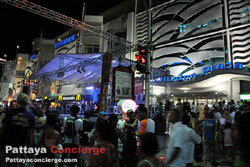 The followings are shopping centers close to the festival area: Central Festival Pattaya Beach, Big C North Pattaya, Tesco Lotus North Pattaya, and Royal Garden Plaza. The other shopping centers would not provide much convenience to visitors. There are also parking areas apart from department stores: The School of Pattaya City 8 (South Pattaya), Chaimongkol Temple (South Pattaya), and Goo Chai Parking Area (Central Pattaya). * Note that if you prefer to park your vehicle in a shopping center, you should come early because it will be full quickly. Shopping centers will close at 23.00 as usual, but you can take your car anytime. ** While traveling in Pattaya in the period of this festival, you might also want to see what to eat in Pattaya, Pattaya Hotels or Pattaya Attractions. 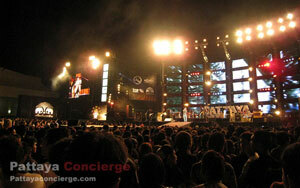 Pattaya International Music Festival is an anniversary festival of Pattaya City. There are Thai or international bands invited, and currently there are 5 stages set up and the main stage is usually at Bali Hai area. 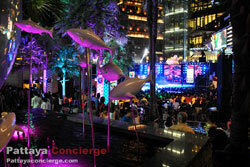 Visitors can enjoy this festival from about 18.00 to 01.00. Vehicles are not allowed to enter Pattaya Beach Road, so there are a plenty of street stalls from North Pattaya until Bali Hai Pier. 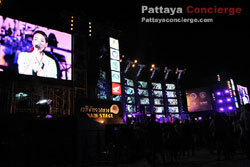 Pattaya International Music Festival is presented by a corporation of Tourism Authority of Thailand (TAT), Chonburi, and Pattaya City, so that tourism in Chonburi and Pattaya will become more popular during the festival and in the future. This festival was first officially introduced in 2002. It is usually presented for three days (Friday - Sunday) on March. Those who would like to stay a night during this festival should book a room in advance. This is because there are tons of visitors come to the city, and many of them also want a room to stay too. 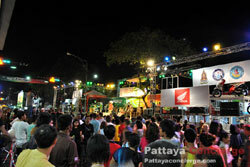 It is pretty difficult to find an available room on the festival days, although visitors could find an available room in Pattaya easily on many other days.